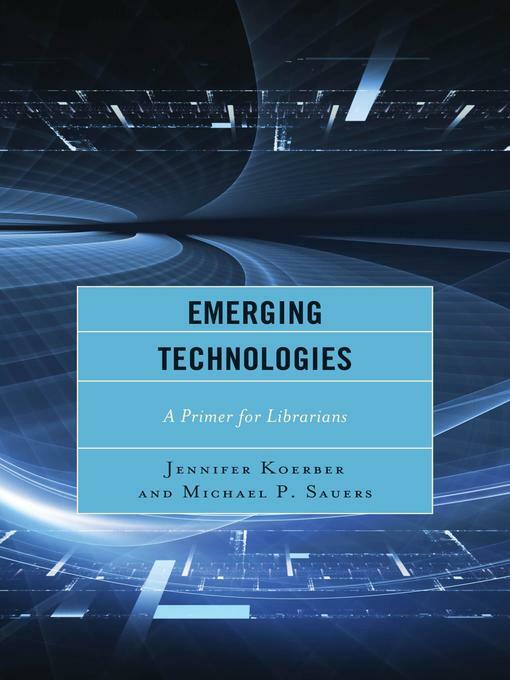 Here's a one-stop snapshot of emerging technologies every librarian should know about and examples that illustrate how the technologies are being used in libraries today! The e-book includes videos of interviews with librarians that are using them. The videos are available on a web site for people who purchase the print book. The first four chapters—Audio & Video, Self- and Micro-Publishing, Mobile Technology, and Crowdfunding—all look at older technologies reinvented and reimagined through significant advances in quality, scale, or hardware. Many libraries were already using these technologies in some way, and are now able to change and adapt those uses to meet current needs and take advantage of the latest improvements. The two next chapters look at new technologies: wearable technologies and the Internet of Things (simple but powerful computers that can be embedded into everyday objects and connected to controllers or data aggregation tools). The last two chapters—Privacy & Security and Keeping Up With Technology—are all-purpose topics that will continue to be affected by new developments in technology. Each of these chapters offers a brief overview of background information and current events, followed by a list of advantages and challenges to using these technologies in a library setting. The authors highlight the most useful or most well-known tools and devices, then specify how these technologies might be used in a library setting. Finally, they look at a variety of current examples from libraries in the United States and around the globe.